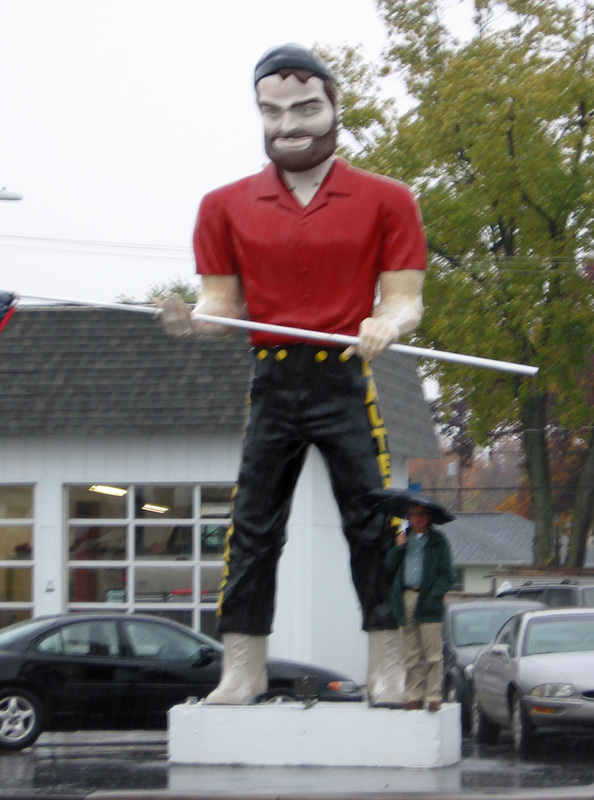 Springfield Lumberjack – The Home of My "Big Things"
Even this photo doesn’t give you a sense of how hard it was raining on this Thursday afternoon when we were after this Paul Bunyan Muffler Man outside the Lauterbach Tire Shop on Wabash Ave. in Springfield. It’s a very busy street and took some time to get across the street. Meanwhile I was getting pretty wet – what I don’t do for this hobby!